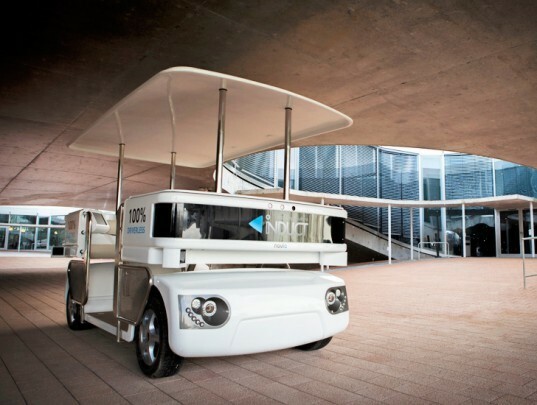 A driverless electric vehicle is taking to the streets of Singapore – and it looks nothing like the autonomous vehicles that Google has been testing in California and other places. Nanyang Technological University’s Energy Research Institute has teamed up with vehicle manufacturer Induct to produce an eight-passenger autonomous electric vehicle that can travel at speeds of up to 20 km/hr. The two-year trial is the first of its kind in the region, and NTU is using it to test new technologies to reduce charging times. 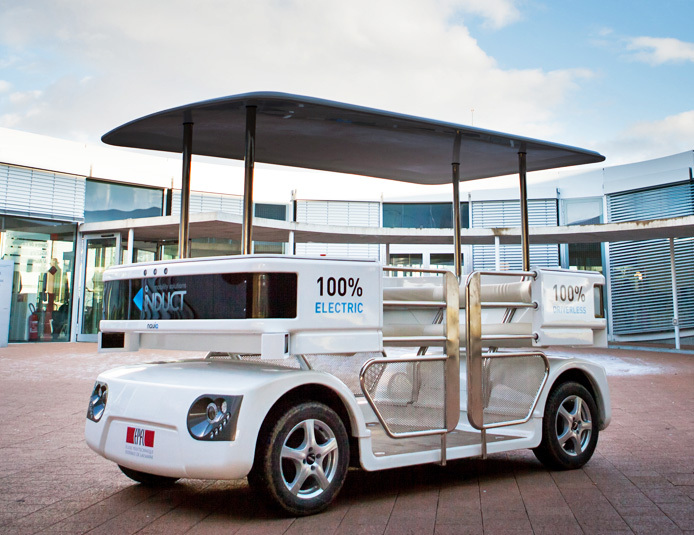 The vehicle being tested is an eight-seat electric shuttle produced by Induct called the NAVIA. It will be able to safely interact with traffic in Singapore, albeit at very low speeds. NTU and Induct estimate that it will be roughly 30 to 50 percent less expensive to operate the small electric shuttle bus than it would be to use a normal vehicle. In addition to experimenting with autonomous vehicles, the partnership between NTU and Induct will also test new EV charging technologies, like wireless induction, and seek to reduce charging times. If the trials are successful, Induct has indicated that it might be interested in developing autonomous vehicles for commercial use in Singapore. “Leveraging on NTU’s expertise in engineering and clean energy, we are confident that our partnership with Induct will see us explore breakthroughs in autonomous driving, wireless fast charging, and advanced battery technologies for sustainable transportation solutions,” said Professor Subodh Mhaisalkar. With the right tools and the correct technology, nothing is impossible to achieve especially for a highly-developed country like Singapore that has many resources. This first driverless car is just the beginning to many potential autonomous projects in the country which will benefit its people in more ways than one. A driverless electric vehicle is taking to the streets of Singapore - and it looks nothing like the autonomous vehicles that Google has been testing in California and other places. Nanyang Technological University's Energy Research Institute has teamed up with vehicle manufacturer Induct to produce an eight-passenger autonomous electric vehicle that can travel at speeds of up to 20 km/hr. The two-year trial is the first of its kind in the region, and NTU is using it to test new technologies to reduce charging times.